I was first introduced to Tony Hillerman by a fellow crimesquad.com reviewer, Sylvia Dixon, and quickly became absorbed by the depiction of life on the Navaho reservation on the Arizona/Utah border. Hillerman was a master at anchoring the crimes he described within the landscape, so much so that you often couldn’t imagine the felonies occurring anywhere else. 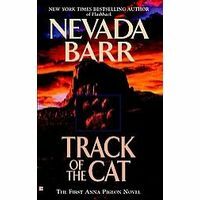 Since Hillerman’s death, I’ve been looking for a writer who brings this magnificent landscape to life and finally, after reading Track of the Cat, I’ve discovered the delights of Nevada Barr. Barr is a former national park ranger whose jobs included a stint at the Guadaloupe Mountains National Park where her first book is set. Anna Pigeon is a ranger assigned to her first job patrolling the remote West Texas countryside. When she finds a colleague seemingly mauled to death by a mountain lion, Anna is concerned that an overreaction by locals will lead to a cull of these protected creatures. However, on further scrutiny, it appears that the death is more complex that it initially seems and when another ranger goes missing it is clear that something is amiss in the national park. The writer’s experience of working as a park ranger has proved invaluable in bringing this book to life. The narrative is awash with wonderful descriptions of the harsh but beautiful landscape and the excruciating heat capable of consuming you in minutes. Sensibly, like Hillerman used to, Nevada Barr roots the murder in the essence of the landscape and it is unclear whether animals or humans are responsible for the deaths. Some of the practicalities of managing such a huge park play an important role in the plotting, for example, helicopters which could be used to search for the missing ranger are being used for a crisis elsewhere. The character of Anna Pigeon is given plenty of back story in this debut novel. She is a widow in her late thirties whose experience of sudden death has propelled her into an alternative career and given her enough experience to be able to face the realities of bereavement. Other characters are also interesting with lives more complex than appearances might suggest. There is an excellent denouement with the reader tantalizingly left to decide what judgement is meted out. 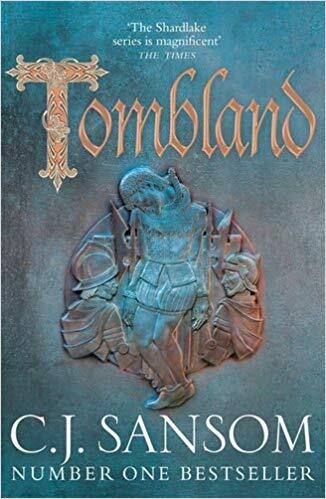 I thought this book an excellent start to a series that I’m looking forward to reading. Future books are set in other national parks so I can look forward to a trip around the wilds of the United States. This series is very good, and you’ll definitely get a feel for lots of National Parks. I think I made it through book # 10 or so (Flashback), and I think I moved on to other books because I wasn’t interested in Anna’s love life. I think I’ll get back to the series and skim the personal-life sections. Thanks Rebecca. I think I’ll enjoy reading the series slowly bit by bit. Sarah – I’m so very glad you liked this novel as much as you did. I think Barr does an excellent job of creating a setting. And I happen to love the Anna Pigeon character. In my opinion she’s an effective and realistic blend of strengths and needs, and I do like her sense of humour and attitude towards life. I hope you’ll like the rest of the series. I must start this series – I’ve been encouraged to do so by Margot. I really liked C J Box’s Joe Pickett series (which sounds sort-of similar – thought set in Wyoming, mainly), so now I’m up to date with that, I must get around to starting Nevada Barr —- encouraged by your excellent review. Thanks. I haven’t tried the CJ Box series Maxine but it is on my list. Thanks for the reminder about this one – I bought it for my Mystery Tour of the USA challenge, but haven’t got round to it yet. Not too thrilled by the “love-life” comments as I don’t like my mysteries too soap-opera like but I’ll give it a go. Hi thanks for the comment and don’t worry. Anna Pigeon’s love life plays only a minor role in this book – clearly it takes on more substance as the series progresses. I’ve loved this series since it began with Track of the Cat. Not only do I like Anna Pigeon’s personality and sense of humor — and observations about life — but I’ve learned a lot about my homeland’s national parks and environmental issues. I have visited them vicariously through Anna’s stories. Learning through crime fiction: What could be better for a voracious mystery reader? How else would I learn about the plight of baby turtles on the Mid-Atlantic Coast? The pitfalls of cave exploration? Adobe housing, relics of earlier communities? So much to learn here while enjoying a great character. Thanks Kathy. I wanted to start at the beginning of this series to get a feel of the book but I suspect I can just read the others now when I find them. I like the fact that Anna Pigeon moves around the parks. As you say – you can visit these places from your armchair.